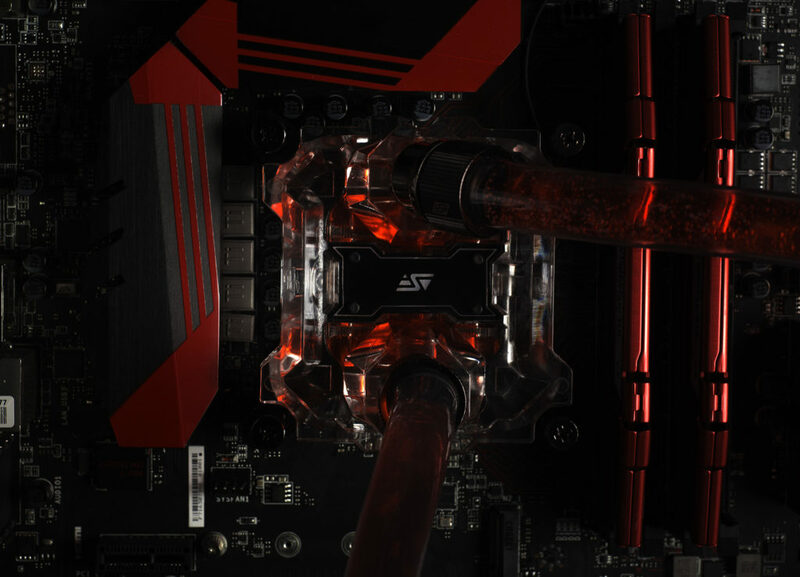 Does your PC need to process a lot of information due to graphic design, video content, or gaming? 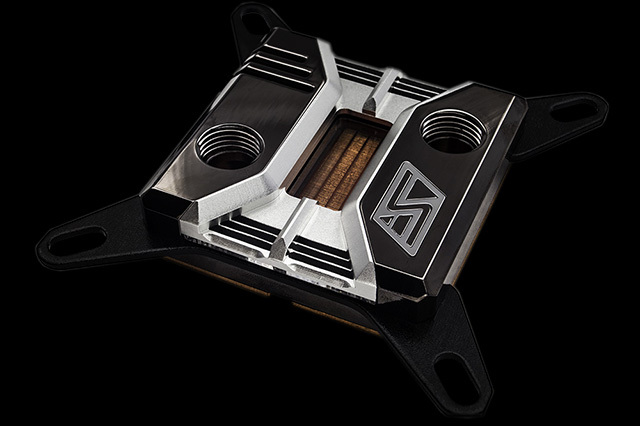 Perhaps you should look into a GPU water cooler to keep your computer hardware safe and sound. 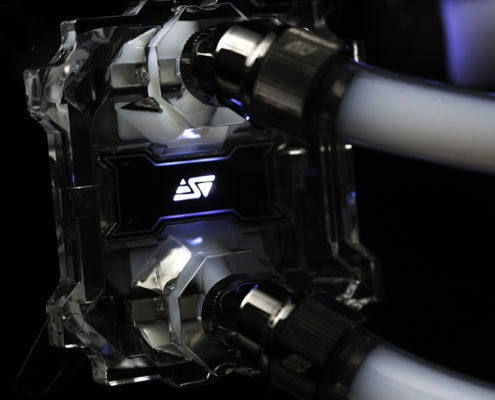 With both CPU and GPU waterblocks your PC can work harder with less stress and better ability to allocate its resources. 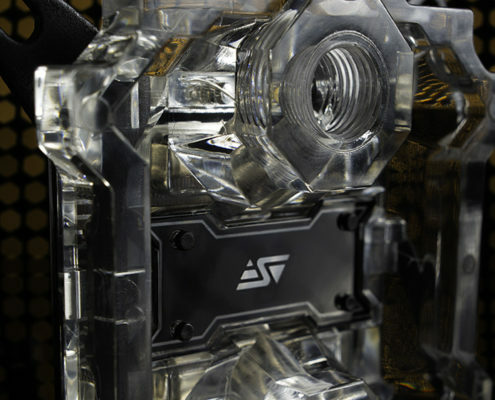 We offer you the best selection of GPU water coolers to fit your every need. 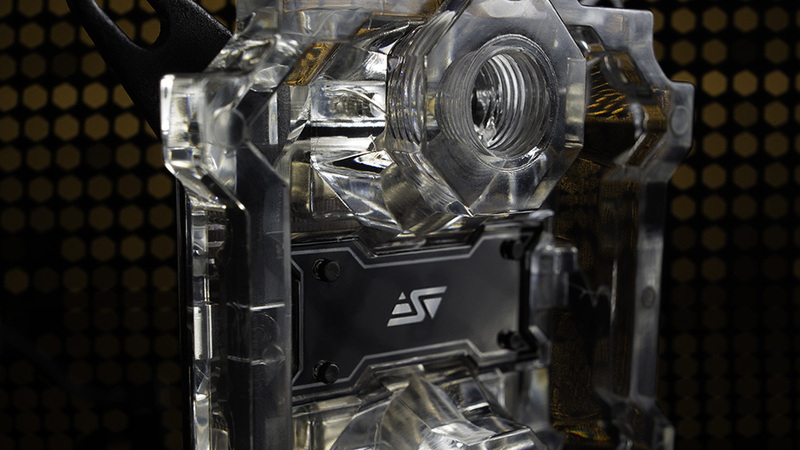 Let your PC handle more and perform better than ever. 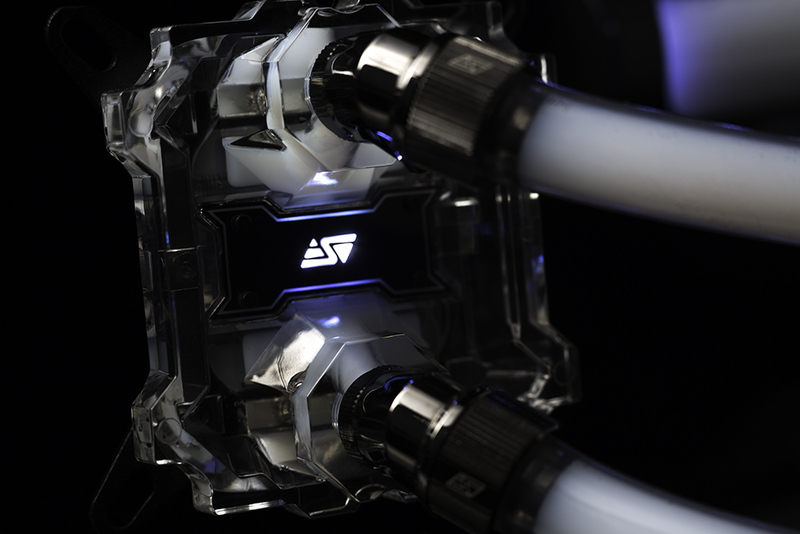 The Swiftech Apogee™ SKF is a highly innovative CPU waterblock featuring a revolutionary cooling engine and customization options that allows users to go beyond their limits. 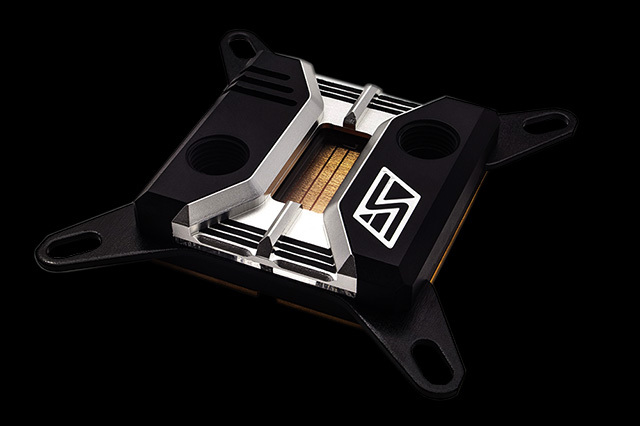 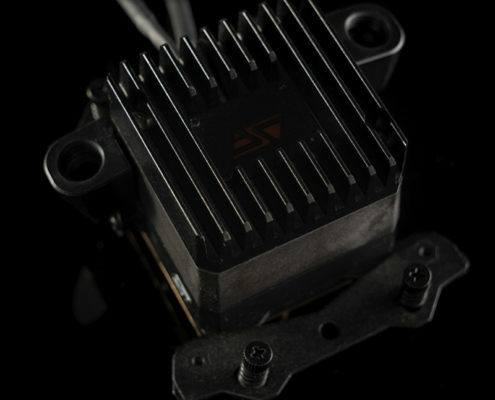 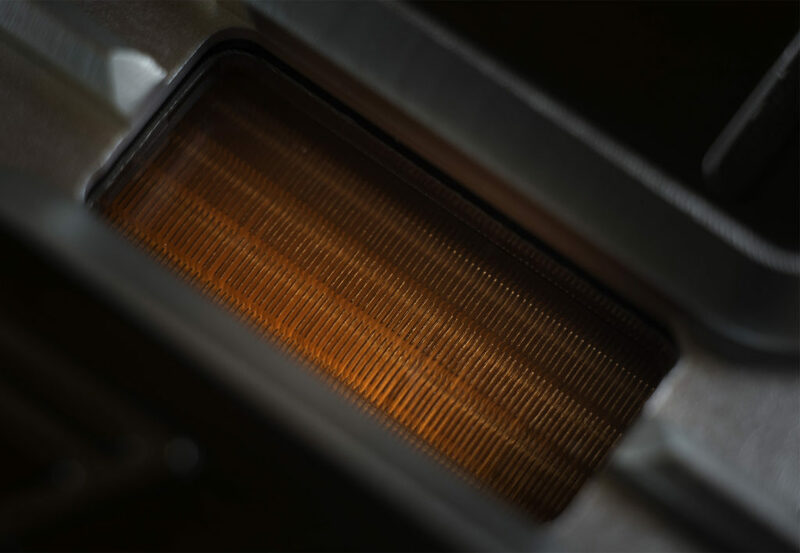 This new technology is at the very least one generation ahead of the competition and will be the foundation of Swiftech’s next generation CPU waterblocks. 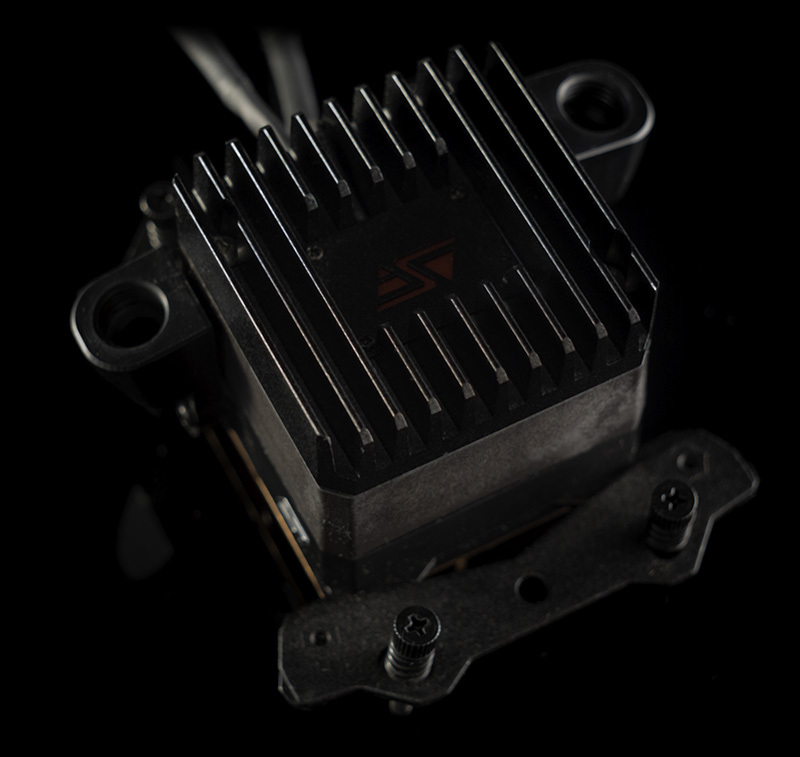 The Apogee SKF is fully compatible with Swiftech’s Addressable RGB Iris Technology (Swiftech Iris-Eco is included with Heirloom SKF and sold separately for SKF and SKF Prestige). 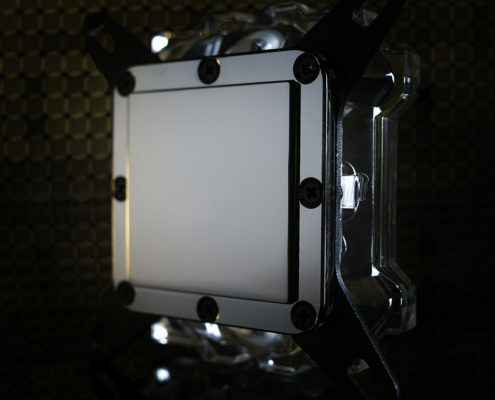 With 2 strips of RGB LED’s built into the waterblock the Apogee SKF will blend into any color theme build. 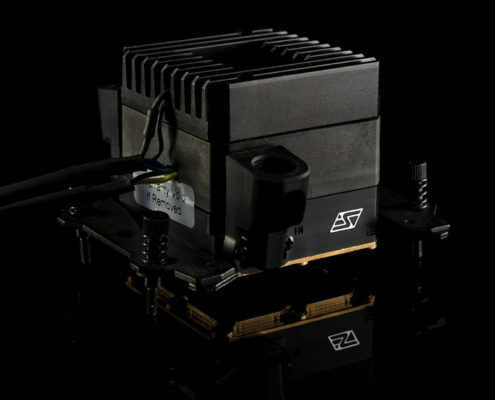 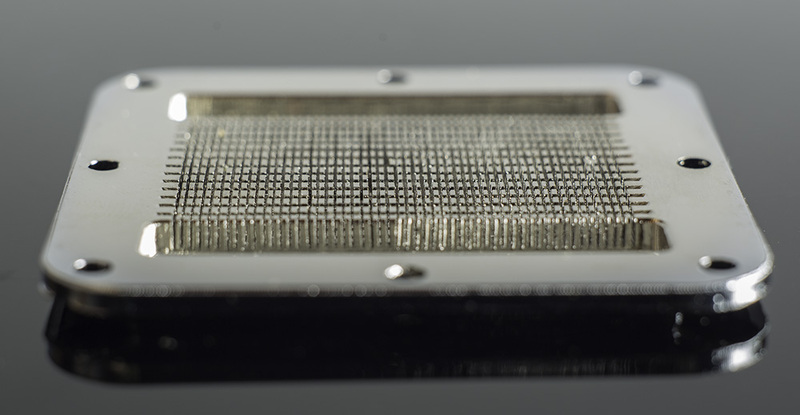 The Apogee SKF also features an entirely new cooling engine made of 125 micron (less than 5 thousandth’s of an inch!) 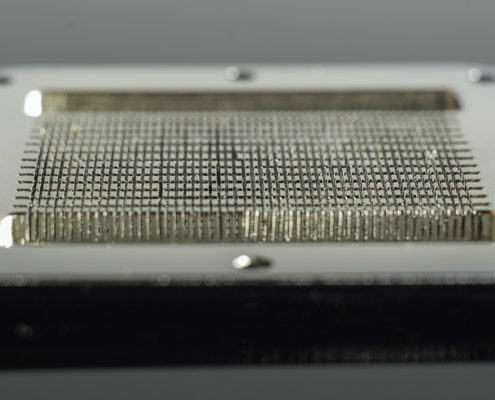 thick slotted fins. 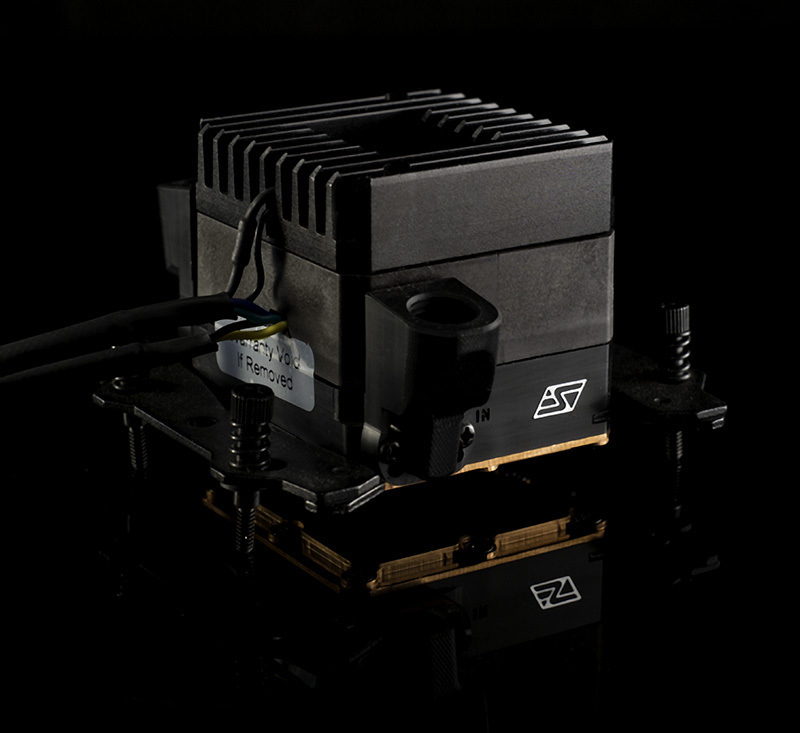 Out of the box, the Apogee SKF is compatible with all current and upcoming CPU’s: From Intel’s LGA 115x, 2011, 2011-v3 and 2066, to AMD’s legacy AM2/3, AM4 and upcoming SP3/TR4. 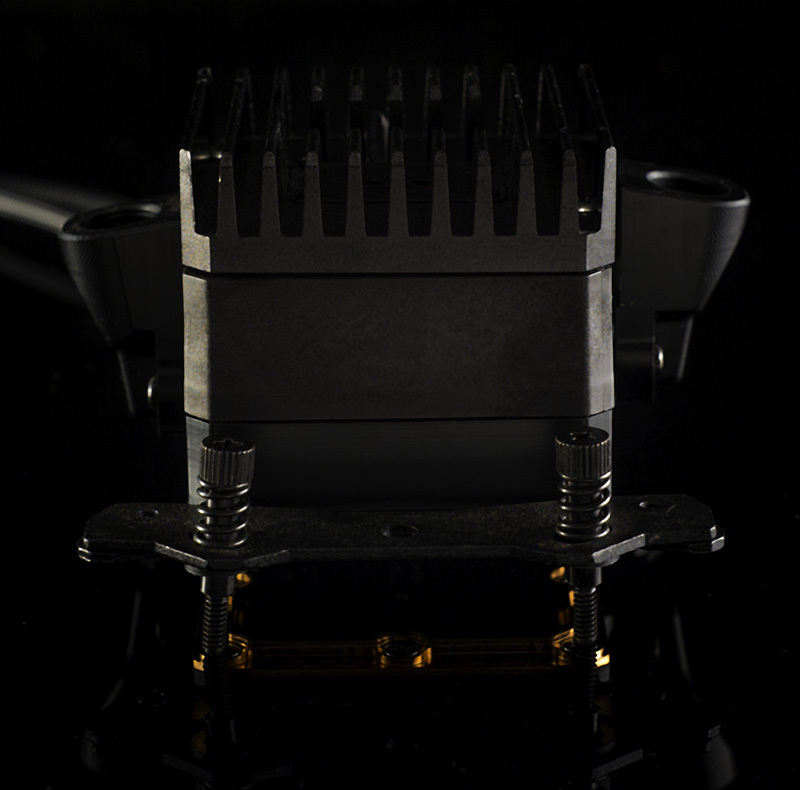 The Standard Apogee SKF is made of lightweight yet robust black acetal plastic with a silver center cover and chrome Swiftech logo. 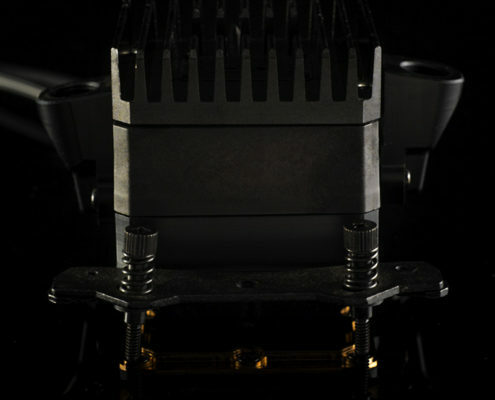 The Prestige Apogee SKF is constructed out of black chrome plated brass body with a silver center cover and chrome Swiftech logo. 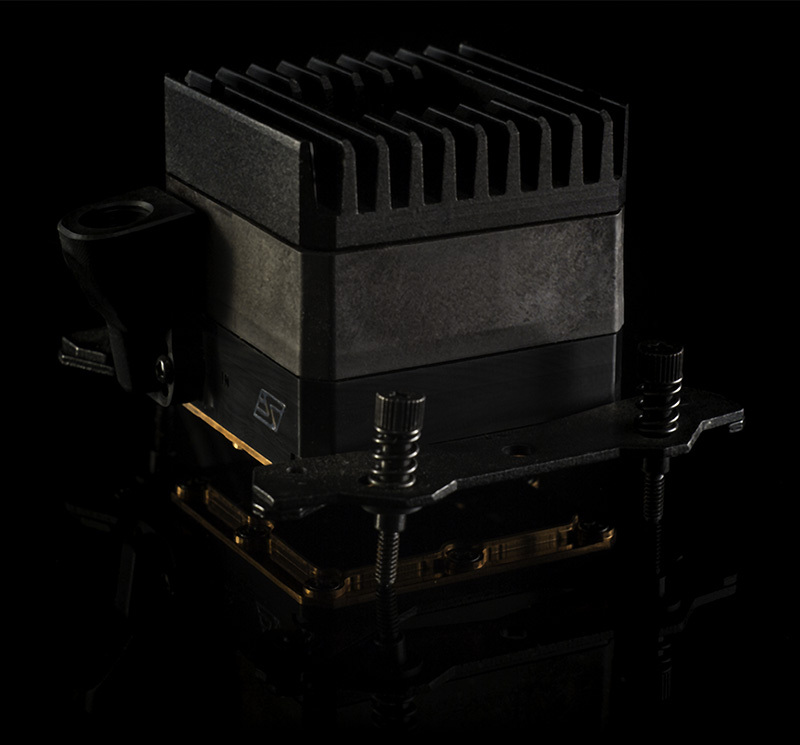 A chrome plated copper base and a redesigned housing with enhanced flow characteristics for better hydraulic performance. 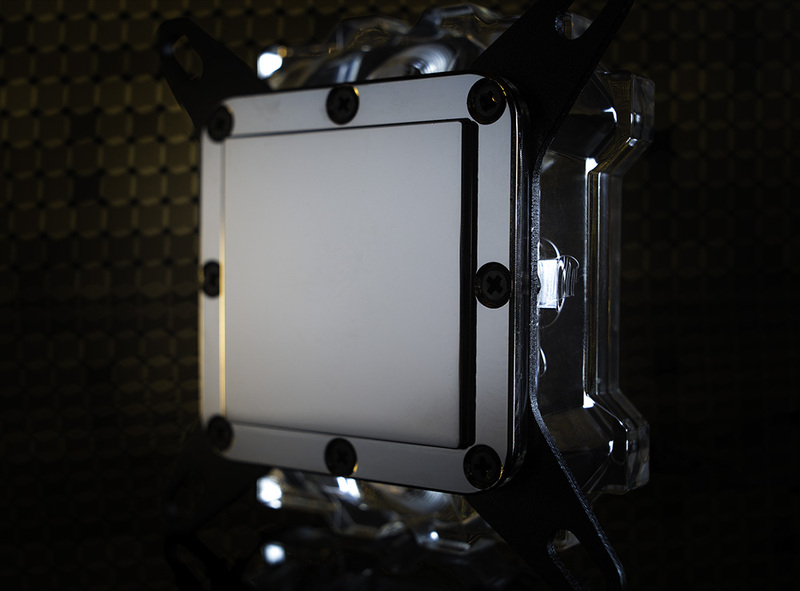 Housing is made of clear acrylic material to visualize the coolant flow path, and to create fantastic color and light reflections.